Internet Explorer 7 is a useful program that includes advancements in security and browsing experience for end users, functionality and compatibility for developers, and manageability for corporate network administrators. · Disables nearly all pre-installed ActiveX controls to prevent potentially vulnerable controls from being exposed to attack. You can easily enable or disable ActiveX controls as needed through the Information Bar and the Add-on Manager. · The Internet Explorer 7 frame is reorganized to make it noticeably simpler, more streamlined, and less cluttered with unnecessary items. This maximizes the area of the screen devoted to the webpages that you want to see and makes performing the most common browsing tasks easy. · Addresses many of the major inconsistencies that can cause web developers problems when producing visually rich, interactive webpages. Improved support for CSS2.1, including selectors and fixed positioning, allow web developers to create more powerful effects without the use of script. · Enhances awareness of website security and privacy settings by displaying color-coded notifications next to the address bar. 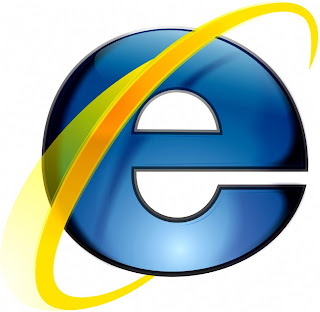 Internet Explorer 7 changes the Address Bar green for websites bearing new High Assurance certificates, indicating the site owner has completed extensive identity verification checks. Phishing Filter notifications, certificate names, and the gold padlock icon are now also adjacent to the address bar for better visibility. Certificate and privacy detail information can easily be displayed with a single click on the Security Status Bar. · Automatically scales a printed webpage so that it's not wider than the paper it will be printed on. Internet Explorer 7 also includes a multi-page print preview with live margins, resizing text to avoid document clipping, and an option to print only selected text. · An application compatibility kit will be available for Internet Explorer 7, allowing IT pros and developers to understand any incompatibilities with their existing websites, applications, and deployments. · Proactively warns and helps protect you against potential or known fraudulent sites and blocks the site if appropriate. The opt-in filter is updated several times per hour using the latest security information from Microsoft and several industry partners about fraudulent websites. · Web searches using your favorite search provider can now be entered into a search box within the toolbar, eliminating the clutter of separate toolbars. You can easily choose a provider from the dropdown list or add more providers. · Supports transparency within the PNG image format, resulting in better-looking websites that are simpler to build. · Limits script on webpages from interacting with content from other domains or windows. This enhanced safeguard will further protect against malware by limiting the potential for malicious websites to manipulate flaws in other websites or cause you to download undesired content or software. · Offers easy and fast access to Favorites, Tab Groups, Browsing History, and RSS Feed subscriptions. Expands out when needed, and can be pinned in place for even easier access. · Provides support for all aspects of Internet Explorer settings through Group Policy, greatly easing management across an enterprise. · Allows you to clean up cached pages, passwords, form data, cookies, and history, all from a single window. · Automatically detects RSS feeds on sites by illuminating an icon on the toolbar. A single click on the icon allows you to preview and optionally subscribe to the site's RSS feed, and then be automatically notified as content is updated. Read RSS feeds directly in the browser, scan for important stories, and filter your view with search terms or site-specific categories. · OEMs and deployment specialists can pre-package Internet Explorer with customized settings or additional programs for their users. · Every window, regardless of whether it's a pop-up or standard window, will present an address bar to the user, helping to block malicious sites from emulating trusted sites. · View multiple sites in a single browser window. Easily switch from one site to another through tabs at the top of the browser frame. · In addition to adding support for International Domain Names in URLs, Internet Explorer also notifies you when visually similar characters in the URL are not expressed in the same language, thus protecting you against sites that could otherwise appear as known, trustworthy sites. · Provides easy tab selection and navigation by displaying thumbnails of all open tabs in a single window. · In conjunction with Amazon.com, a set of RSS Simple List Extensions were submitted to the RSS community, and released under the Creative Commons license. Among other features, these extensions greatly simplify development of applications that interact with Open Search-compatible search providers. · Redesigned URL parsing ensures consistent processing and minimizes possible exploits. The new URL handler helps centralize critical data parsing and increases data consistency throughout the application. · Tabs can be grouped and saved into logical categories, allowing you to open multiple tabs with a single click. A Tab Group can easily be set as the Home Page Group so the entire Tab Group opens every time Internet Explorer is launched from the Start menu. · Provides rich functionality for downloading, storing, and accessing RSS feeds across the entire operating system, and enables more users than ever before to embrace RSS. Once a feed is subscribed to in one application, that subscription, and all the associated content, will be made available across the operating system for any application that wishes to consume it. · To keep you protected from browsing with unsafe settings, Internet Explorer 7 warns you with an Information Bar when current security settings may put you at risk. Within the Internet Control Panel, you will see certain critical items highlighted in red when they are unsafely configured. In addition to dialog alerts warning you about unsafe settings, you will be reminded by the Information Bar as long as the settings remain unsafe. You can instantly reset Internet security settings to the 'Medium-High' default level by clicking the 'Fix My Settings' option in the Information Bar. · Enlarge or zoom in on individual webpages, including both text and graphics, to either focus on specific content or to make content more accessible to those with vision limitations. · To help troubleshoot difficulties launching Internet Explorer or reaching specific websites, you have the ability to start in "No Add-ons" mode, where only critical system Add-ons are enabled.